Startup news cambodia, startup news Asia, technology Cambodia, Technology news Asia | Shout Out to all Tech-Aspiring University Students: SmartStart Young Innovator Program Is Back With Their 2nd Cycle! 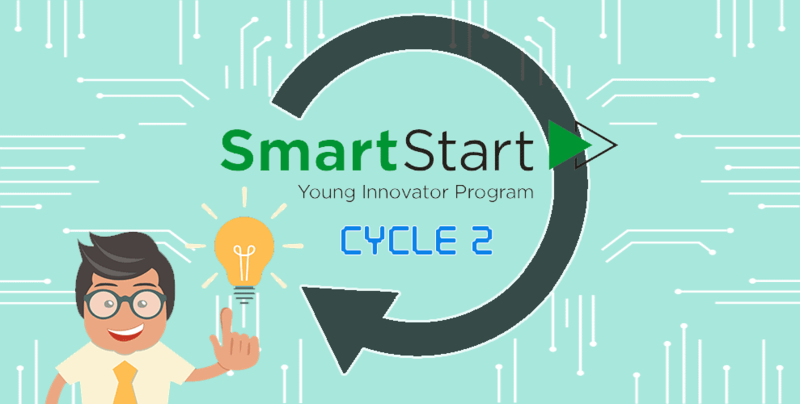 Shout Out to all Tech-Aspiring University Students: SmartStart Young Innovator Program Is Back With Their 2nd Cycle! SmartStart Young Innovator Program enables University Students to turn their tech ideas into something that they can call their own. University students who have a good command of English and a digital idea for any of this verticals – digital education, digital commerce & payments, digital entertainment & content, and other disruptive industry models. 1. This program will CONNECT you to the digital startup ecosystem in Cambodia. You will meet experienced mentors, investors and work in co-working spaces that have other technical support readily available. 2. It will hone your SKILLS as business models will be taught by experts in the startup sector who have previously trained and mentored several successful startups in Cambodia. 3. You will receive a headstart in INNOVATION for this program that will not only assist you in developing your very own digital innovative idea but also provide funding to help start your own venture. What will be happening during the program? Phase 1: Post registration, 120 participants will be shortlisted to participate in a half-day event – Hatch. Hatch will be happening on the 21st of April. Chosen team leaders will first pitch their ideas and form teams based on one’s interest and skills. Teams will then attend a 2-day prototyping event – Hackathon where a panel of experts will further shortlist 15 teams based on a demo session. Phase 2: Shortlisted teams will then attend a 5D4N Smart Technopreneurship Challenge held in Battambang from 12 to 16th May 2018. There will be guest speakers, network with mentors and hands-on activities that utilizes software tools. The 5-day program will conclude with a pitching event where 5 most outstanding teams will be shortlisted. Phase 3: The 5 shortlisted teams will be given (1) $4000 USD, (2) 6-months fully funded incubator program and (3) full access to facilities, workshops, business clinics and 1-on-1 sessions with experts and mentors for insights and feedback. Teams will do their final pitching in the month of November. The team with the best business progress will be awarded a fully paid trip in January 2019 to Google, Facebook, and Microsoft in Singapore. Thereafter, Smart Axiata will further invest in your idea after the whole cycle is completed! For more information, you can read our previous article here or visit the SmartStart website at https://smartstart.com.kh/. We believe this is an exceptional opportunity that you should not miss! Check this video out for a quick summary of the program!